Rates are for the main house, West Wing & Dakota Suite which accommodates 18 guests. 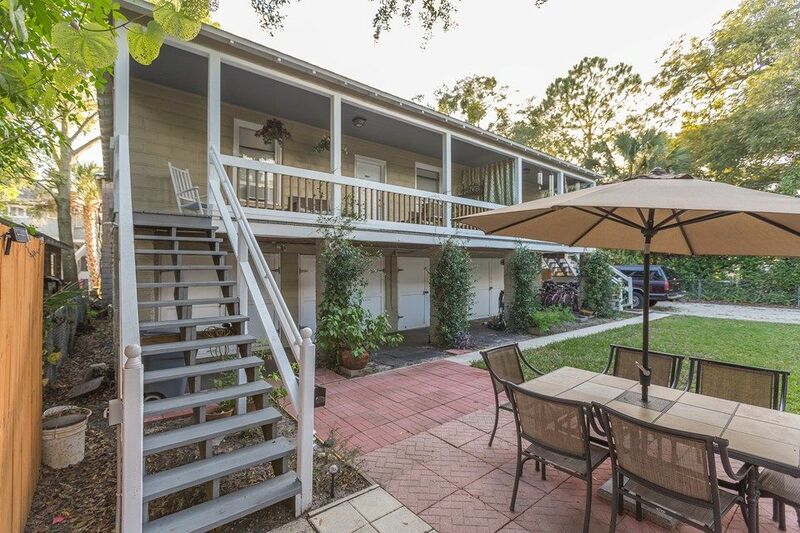 The Oviedo House offers convenient lodging close to Historic downtown St. Augustine, Flagler College. 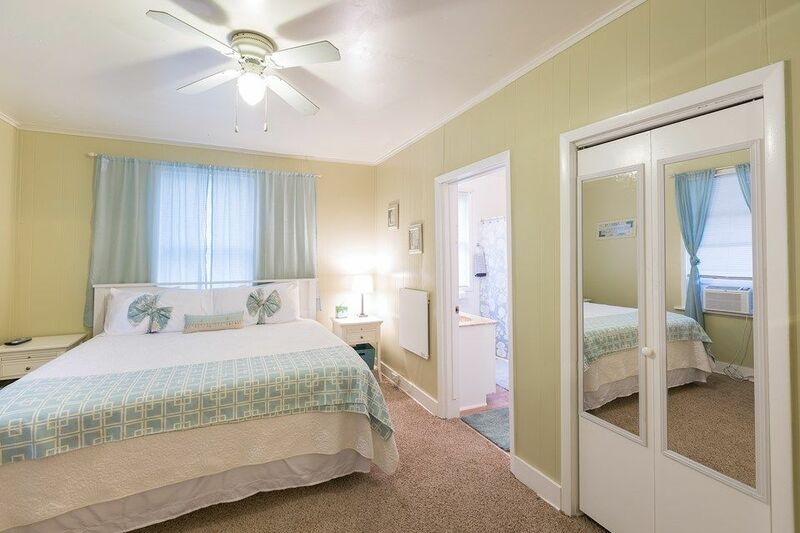 It is a great house for wedding groups, family reunions, vacation get aways or even business stays. Rates listed are for the main house only which sleeps up to 10. 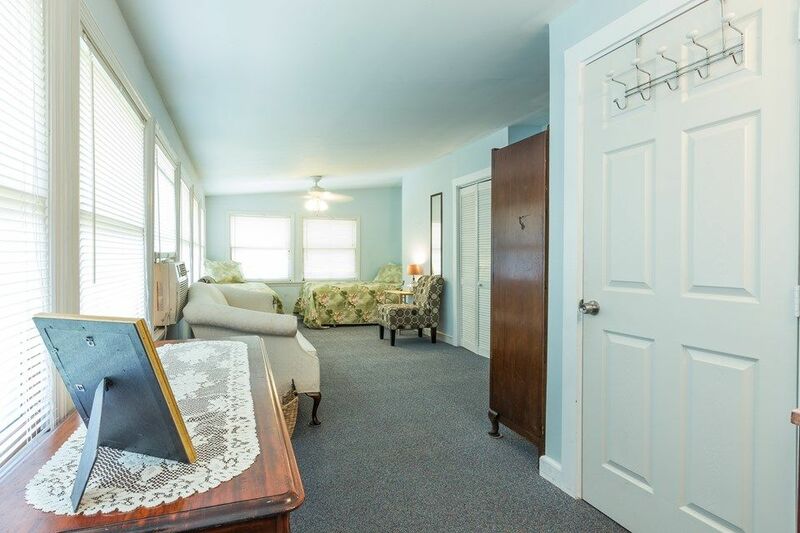 There are 2 suites that can be added for larger groups and are discounted when booked with the main house. Call for additional costs for the suites. 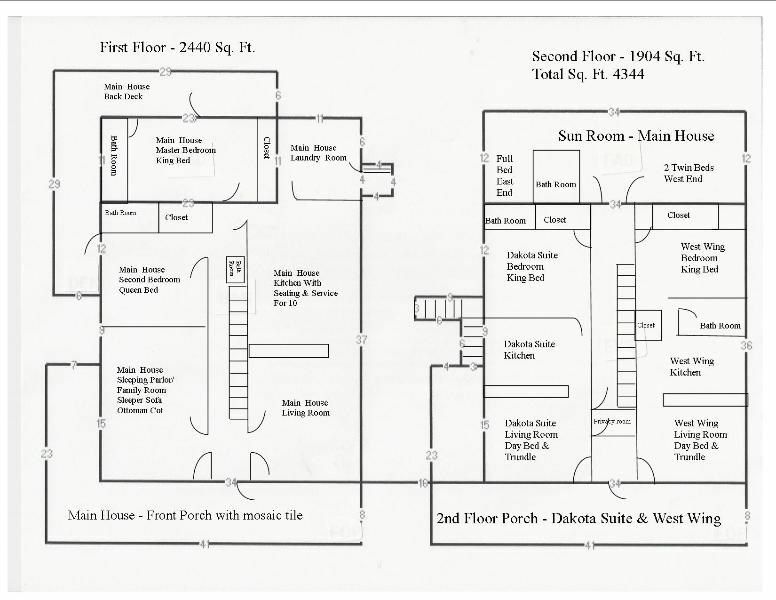 To help you know how Oviedo House is set up, there is a floor plan in the photo section. 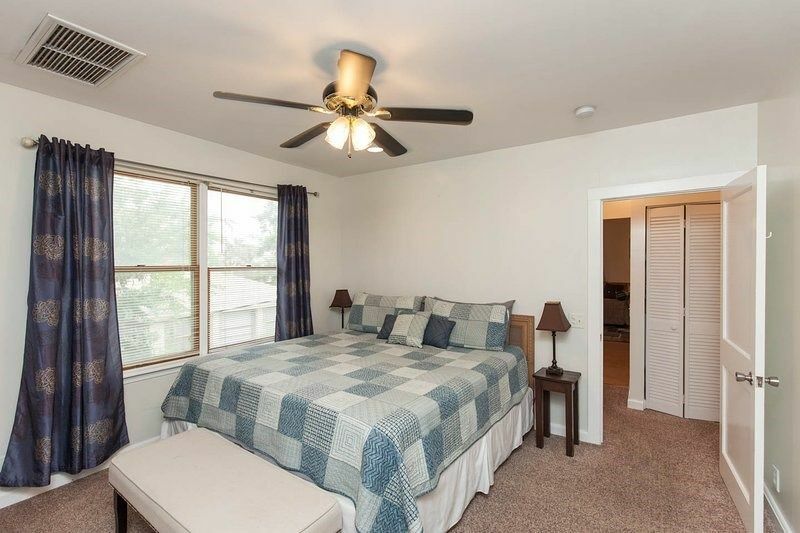 It is a very comfortable house for large groups. 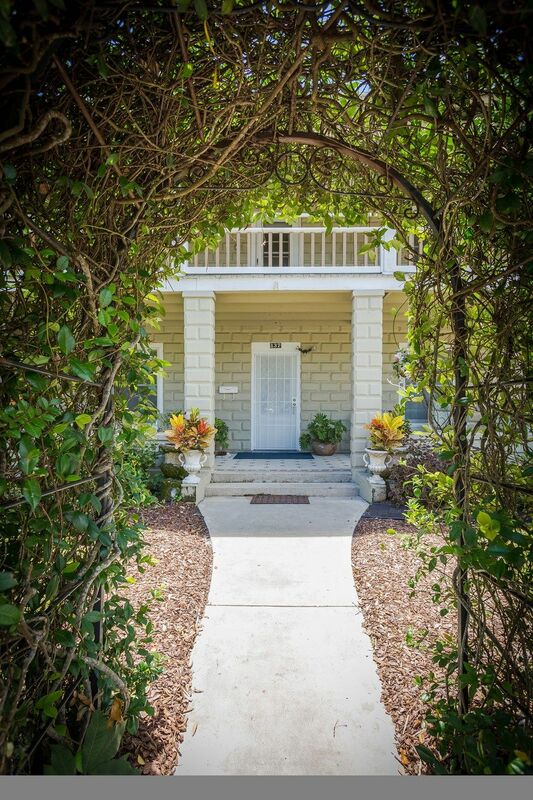 The house was built around 1910 as a rooming house for nurses of Florida East Coast Hospital, located two blocks from Flagler College, six blocks from Historic downtown, one-half mile from the White Room and just a few miles from great shopping and the beach. 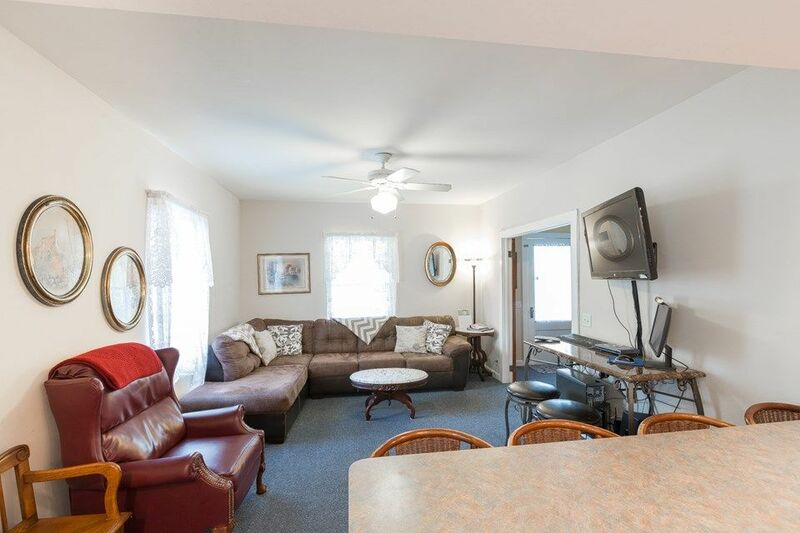 It has been completely remodeled with care to offer new amenities yet keep all its original charm! 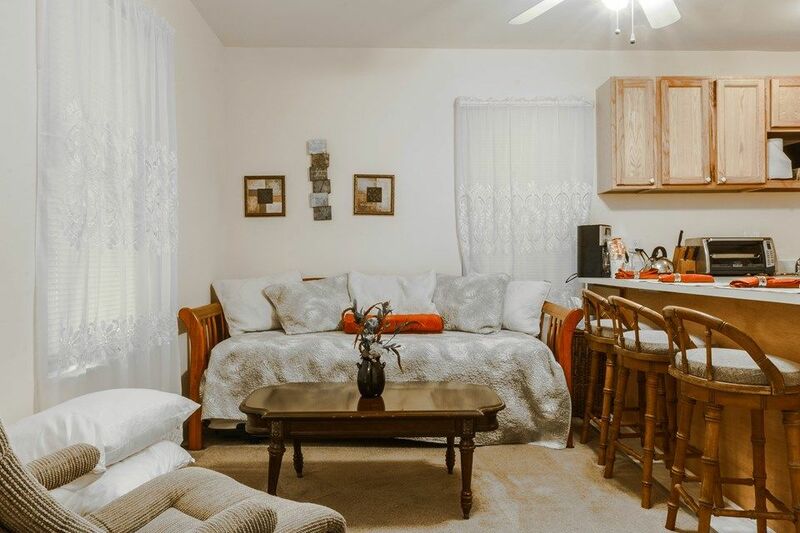 The Oviedo House is the best St. Augustine vacation rental for medium sized groups near all of St. Augustine's top attractions and things to do. 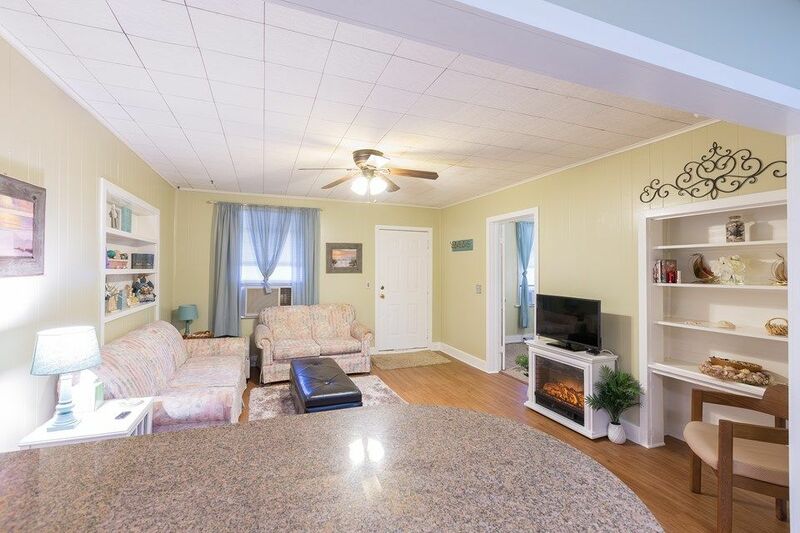 This home is great for wedding groups or family reunions. Whether on business or pleasure, this house will definitely be able to meet all your traveling needs and more! You can go directly to oviedo house to see additional information. 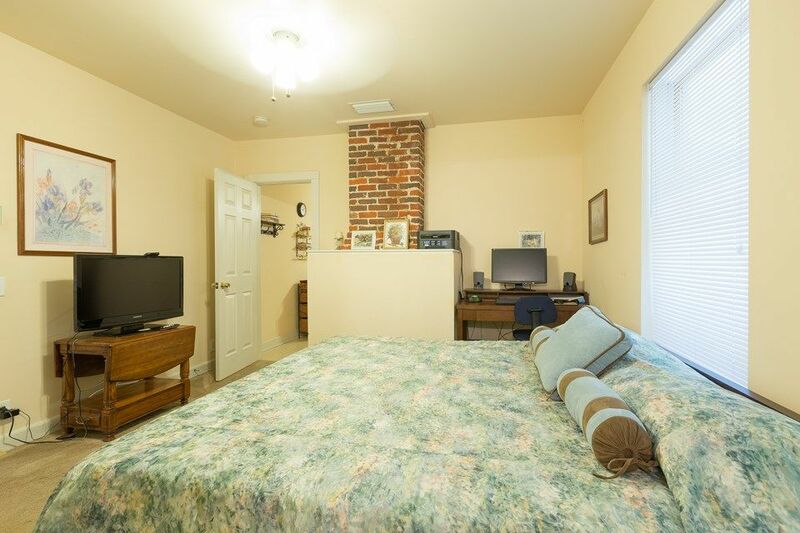 Dakota Suite & West Wing: We have just remodeled 2 small apartments on the second floor that have been used for the family. They can be opened up to the Oviedo House to accommodate larger groups. 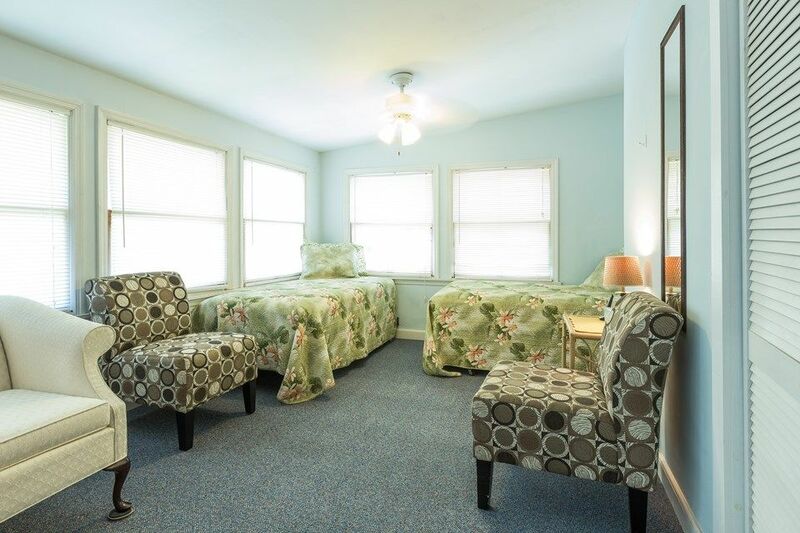 Each suite is equipped to sleep up to 4 people and have a separate entrance, their own wrap around porch, and are full service units all by themselves. Check out the pictures! For those interested in also booking the Dakota Suite or West Wing, please check availability and additional costs. 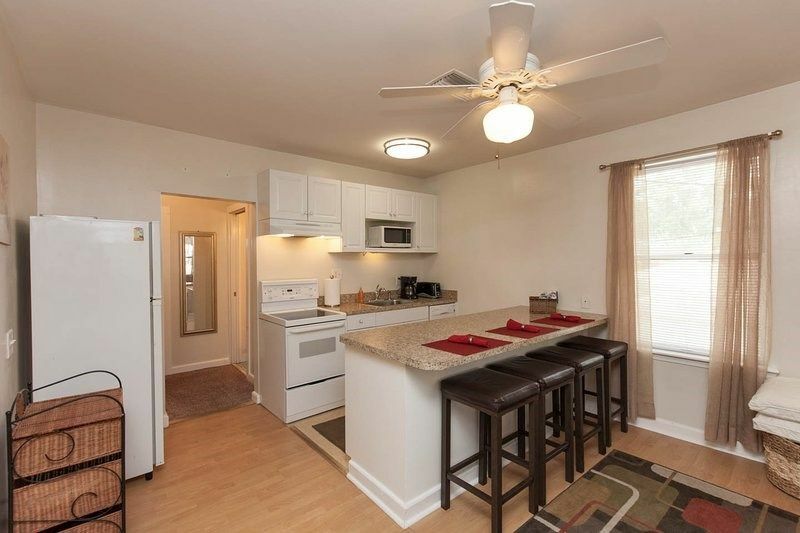 Oviedo House is on a quiet brick street just a couple of blocks from Flagler College. Enjoy a cup of coffee on the front porch and watch as the students walk to class! 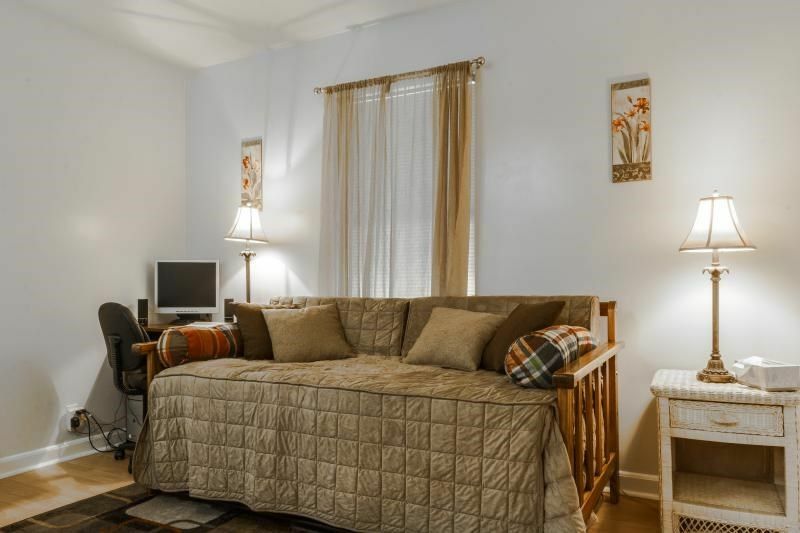 Main House has 1 king bed, 1 queen bed, 1 sleeper sofa, 1 ottoman cot, 1 full bed, 2 twin beds. Dakota Suite has 1 king bed, 1 day bed and 1 trundle. 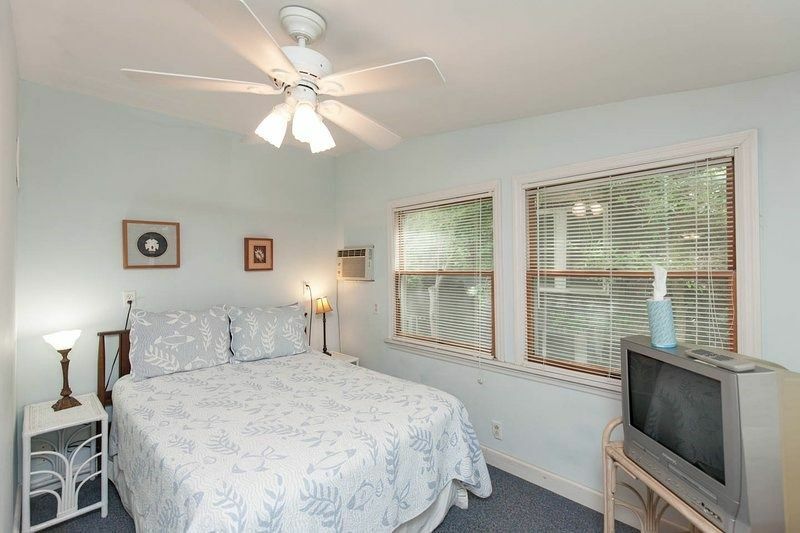 West Wing has 1 king bed, 1 day bed, and 1 trundle. Fireplace: Electric Fireplace in Parlor and second bedroom. Parking :Main house offers off-street parking for 2 to 3 cars on the west side of the house. Suite parking is available on the street. Parking Off Street : 2 to 3 off-street parking spots are available for the main House on the West side. (2 to 3 cars depending on size) Additional parking on street on first come basis, no permits required. 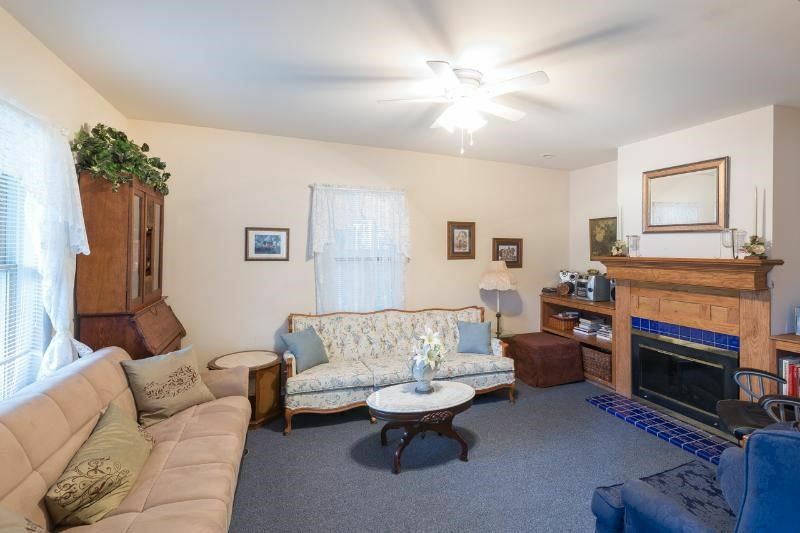 Living Room : Living Room on west side of the house and just across the hall is the Sleeping Parlor that also serves as a second living room or family room. Washing Machine : Washer is in the Laundry Room on the first floor of the main house. Soap is provided. Coffee Maker : Main House has coffee maker & also provides gourmet coffee. Dakota Suite and West Wing have coffee makers and provide gourmet coffee. Dishwasher : Main house has built-in dishwasher. Dakota Suite and West Wing both have built-in dishwashers. Cooking Utensils : Main house is well equipped with cooking utensils. Dakota Suite and West Wing are also well equipped with cooking utensils. 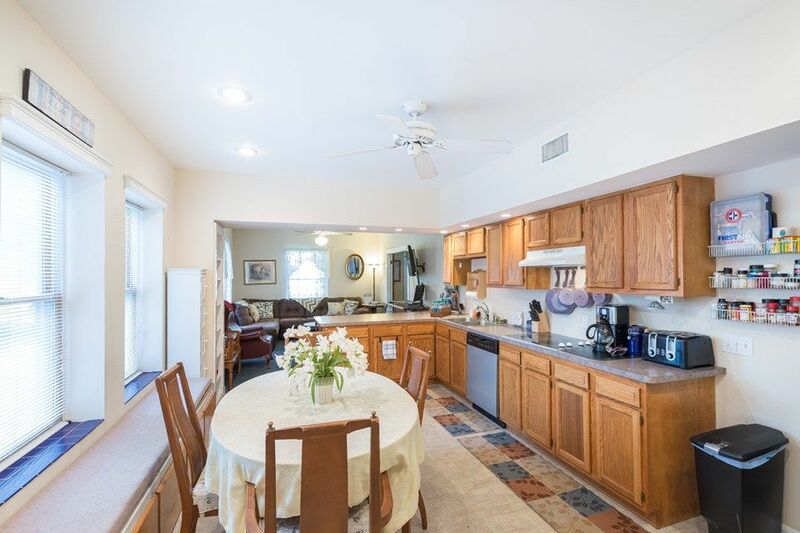 Dishes & Utensils : Main house has service and seating for 10 guests. Dakota Suite and West Wing both have seating and service for 4 guests. Stove : Counter Top ceramic stove in main house. 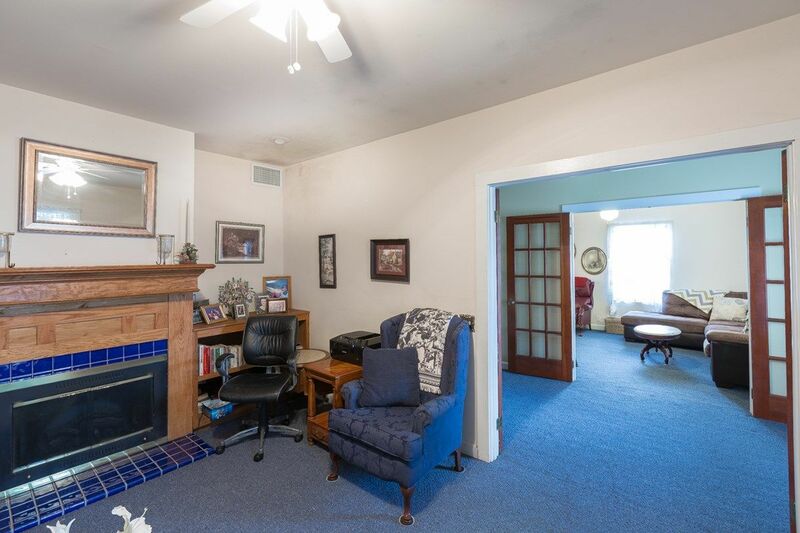 West Wing has stove with oven and Dakota Suite has toaster oven and counter burners. Suites can be added to main house at a discount. Refrigerator : Main house has refrigerator with ice and water in door. Dakota Suite and West Wing both have refrigerators. 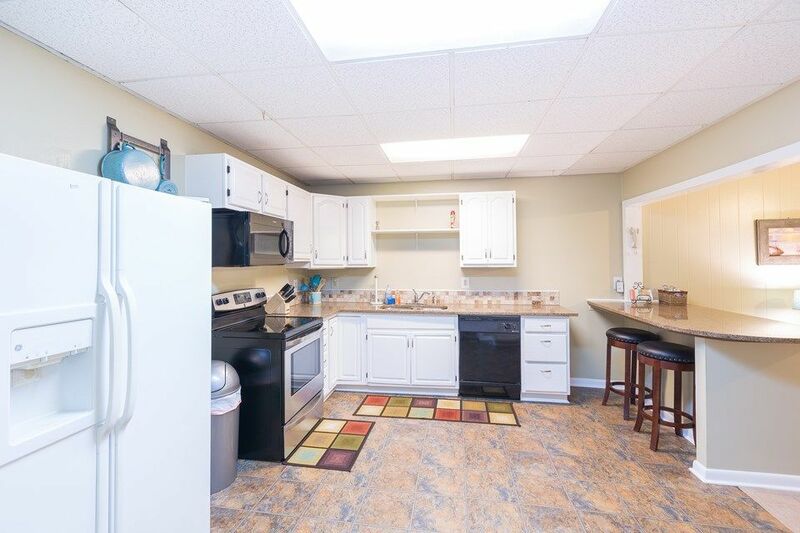 Kitchen : Kitchen in main house has seating and service for 10. Dakota Suite and West Wing both have kitchens with seating and service for 4. Oven : Main house has a wall oven. West Wing has oven with stove. Toaster : Main House has toaster. Dakota Suite and West Wing both have toasters. Dining : Main house has dining in large kitchen with seating & service for 10. Dakota Suite and West Wing both have a counter with seating & service for 4. Bicycles : Bicycles are available at no additional charge. 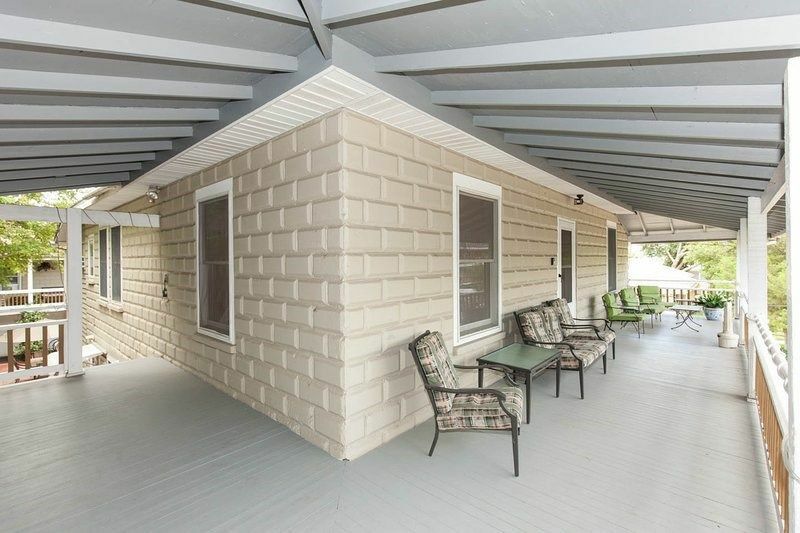 Deck / Patio : The main house has a beautiful front wrap-around porch with mosaic tile. The back of the main house has a wrap-around deck and Suites have 2nd floor wrap-around porch. 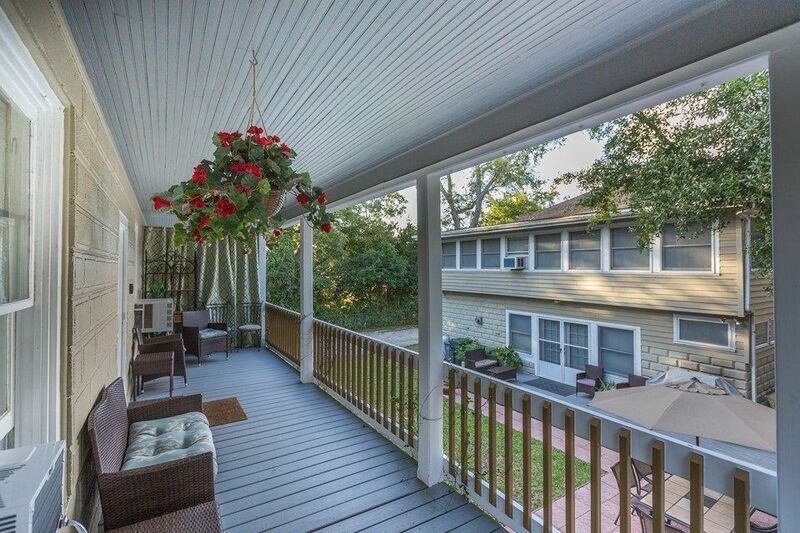 Balcony : West Wing and Dakota Suite have a wrap around porch/balcony that has seating. Our stay at the ' Oviedo House ' exceeded our expectations. A lovely place for our family of eight to gather. 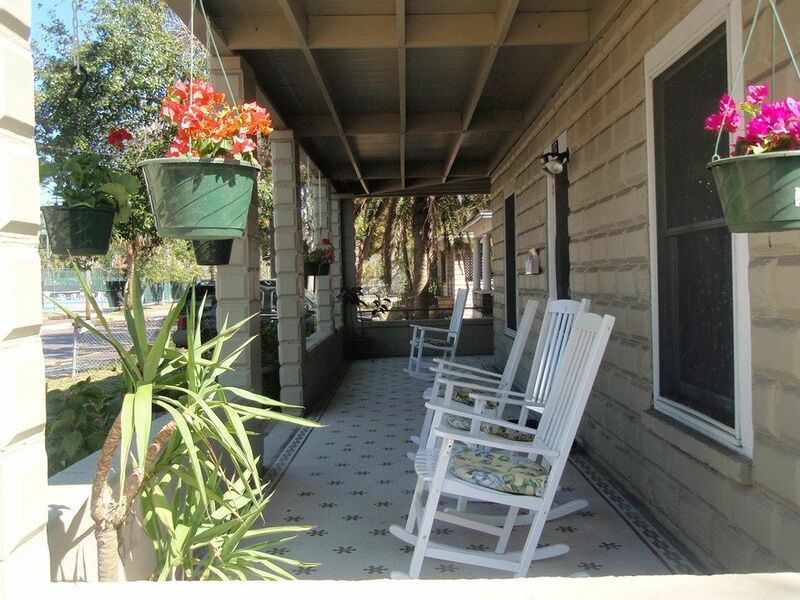 The home is convenient to Historic St. Augustine, Anastasia State Park, the Lighthouse, shopping, and dinning. We began our days with breakfast in a well equipped kitchen, followed by touring the area and returning to a relaxing and comfortable home. 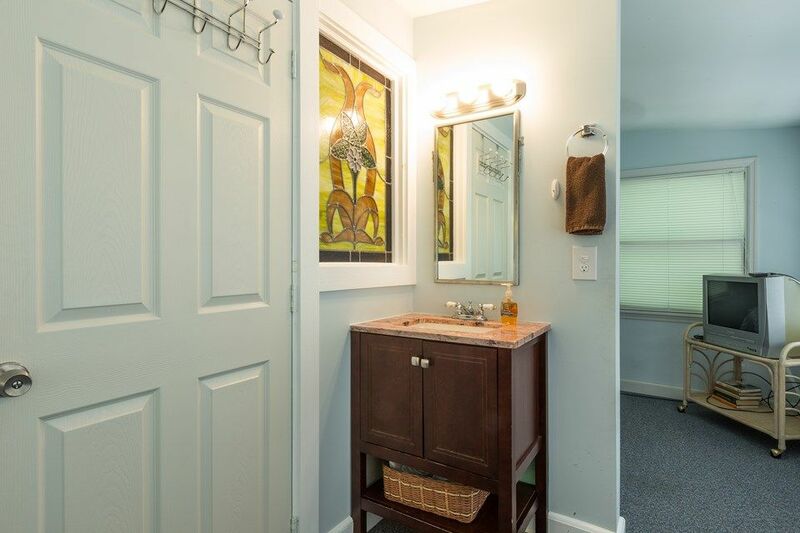 I would highly recommend ' Oviedo House ' for a vacation rental. We had a truly incredible stay with Kitty during the week of our wedding. They suffered some damage from the hurricane but by the time we arrived, you wouldn't have known it. They worked tirelessly and there was no sign of the hurricane in sight. 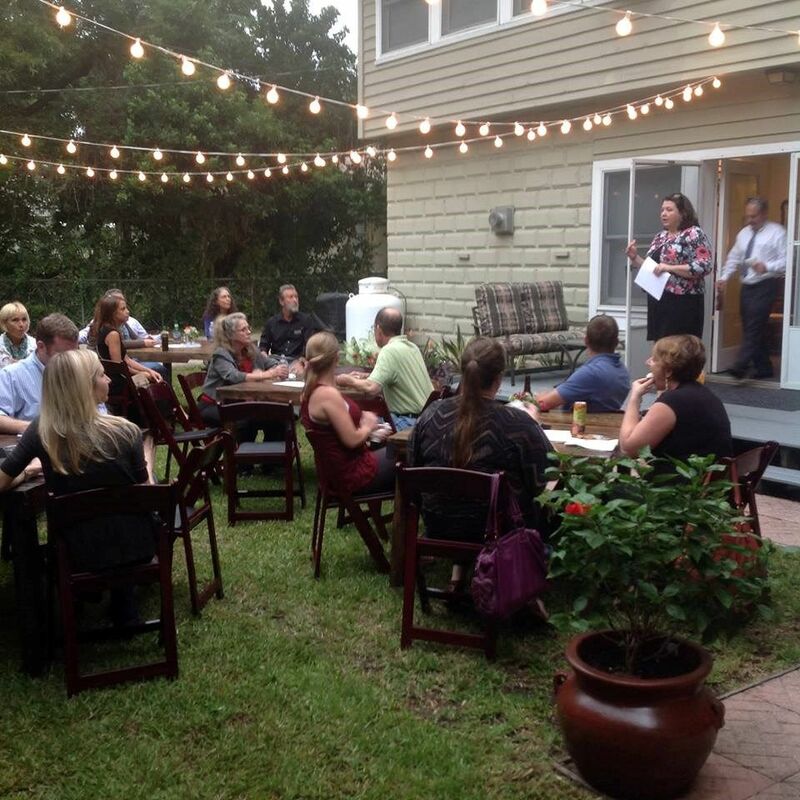 We also had a lovely rehearsal dinner in the backyard which was perfect. Kitty and Angela were always accessible if we had questions. Would definitely recommend to anyone with a large group! My family spent the Thanksgiving weekend at the O.H. A great time was had by all. 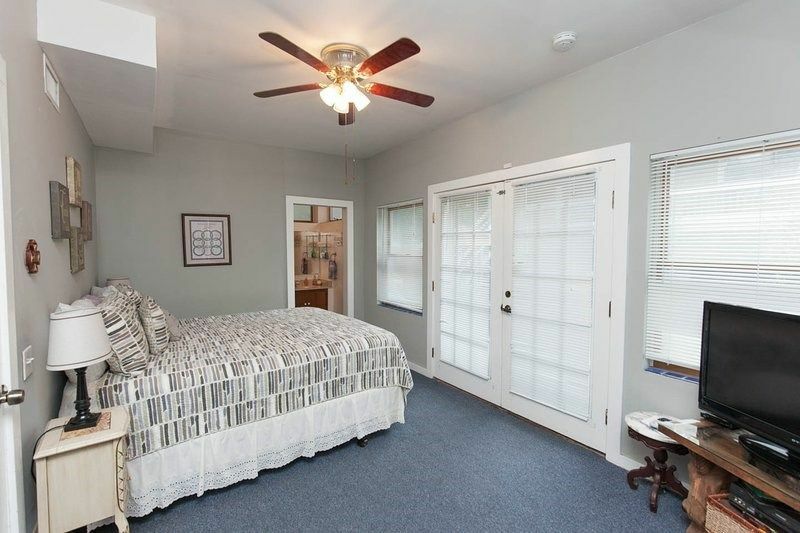 The house is conveniently located a few blocks from downtown St. Augustine. 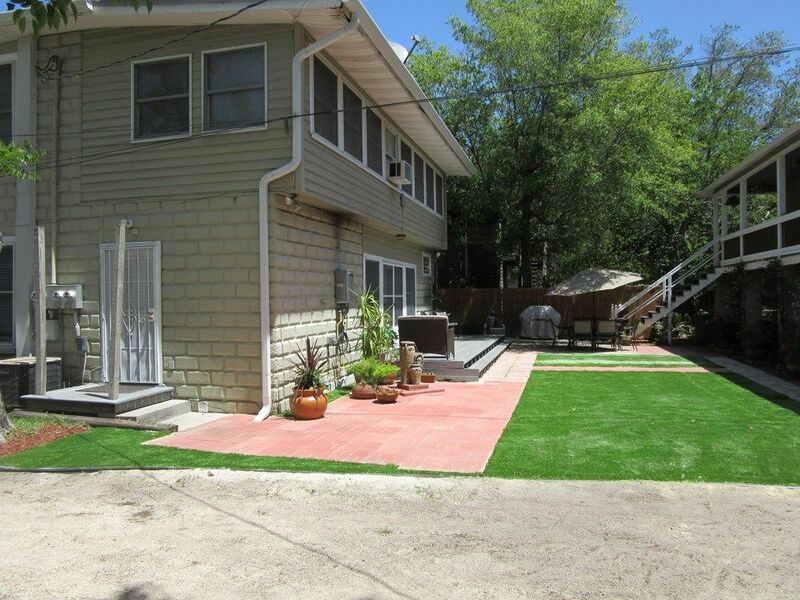 ; yet, Its located in a quiet and serene neighborhood. The house was the best stocked home i have evvveerr rented! the kitchen was equipped with every utensil and pot needed for us to prepare our Thanksgiving meal. The home is clean and spacious. 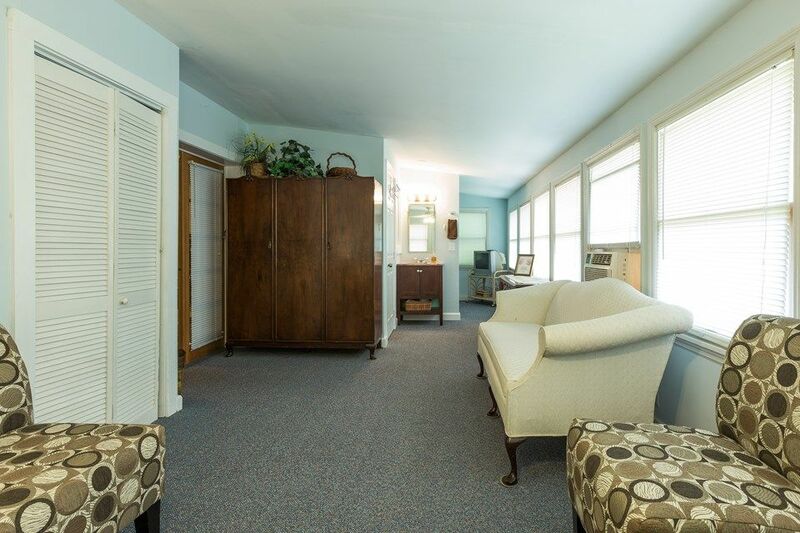 The large porches are well appointed with large comfortable chairs and rockers which are comfortable and relaxing! There is something for everyone: books, games, bikes....this home is AMAZING and is definitely on our repeat rental list!! House was more than expected by far. This house was more than I or any of my other 7 golfers could have expected. 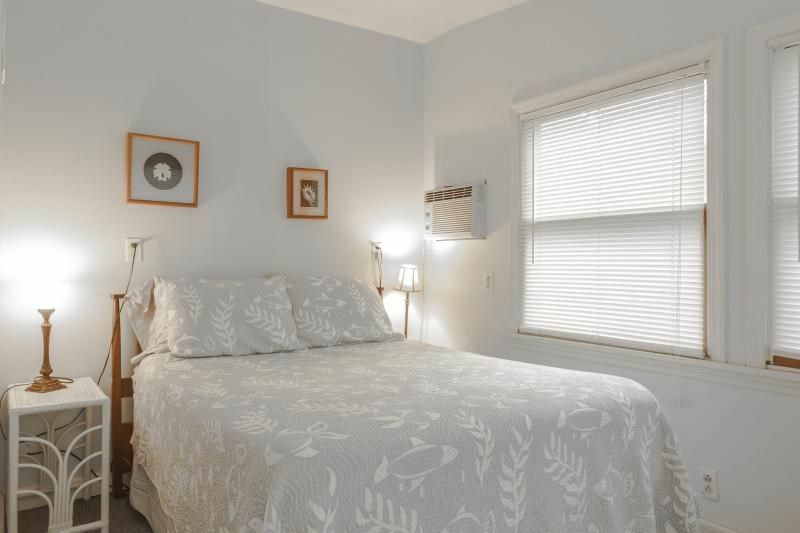 Besides the multitude of sleeping options, the house was fully equipped with anything that you would need including coffee for the coffee maker, spices, plenty of cups & dishes, pots & pans, laundry detergent, bath towels, extra pillows etc. 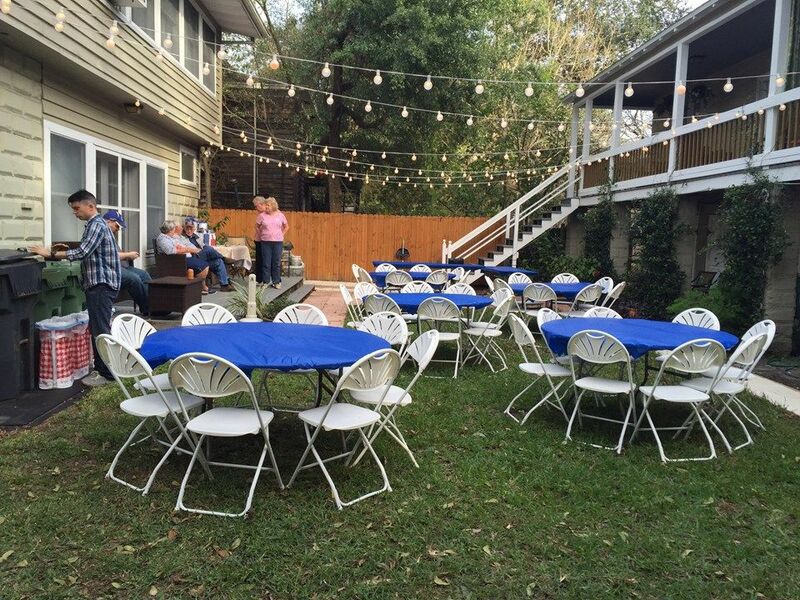 There are 2 porches with chairs suitable for just sitting, sipping drinks and watching students going and coming back from classes at the nearby college. 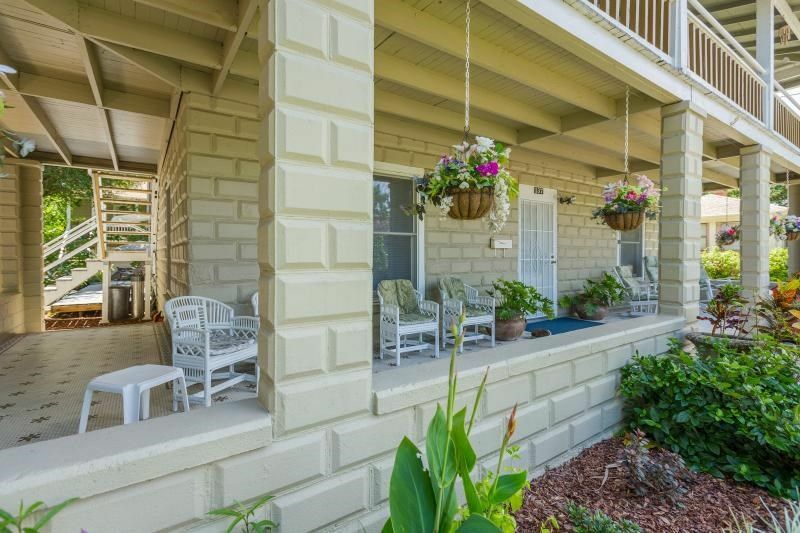 Walk 2 blocks from the house and you find yourself in the bustling town square just filled with tourists & residents alike enjoying the many shops, restaurants and historical sites of St. Augustine. Enjoy being part of a tour of the area or ride in a horse drawn carriage for a leisurely ride in this area. Or just listen to the music being played by independent musicians looking for tips. If it wasn't for a blizzard up north tonight that forced us to leave town early we would still be down enjoying this oldest city in America. Certainly the house added greatly to the charm of this area and is even on a cobblestone street. And the house owner is a very accommodating owner who responded to a specific need of ours without any concern of the added cost to her. She only wanted to please us as much as she could. Hoping to get back her one day to finish what that dumb storm forced us to cut short. We had a fantastic time with 3 other families in the Oviedo house over spring break! With 8 adults and 8 children we always felt comfortable in this spacious home. The home was by far the most well stocked vacation home we've ever stayed in. 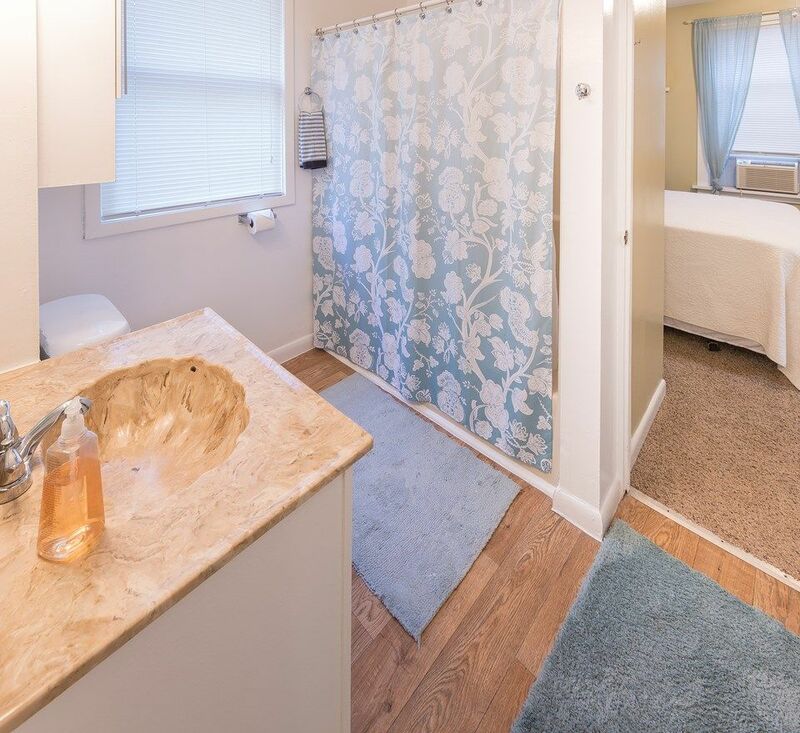 The owners have thought out every detail in order to make sure your stay is comfortable. 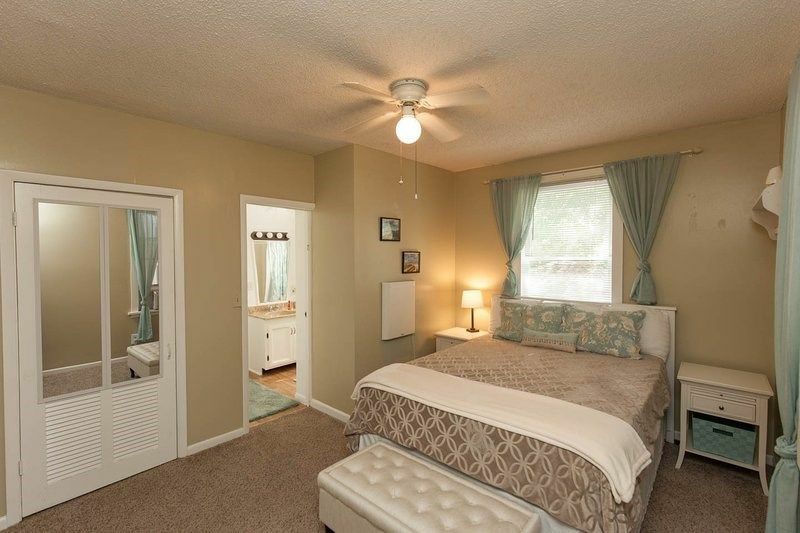 The Oviedo home is conveniently located near the historic downtown. 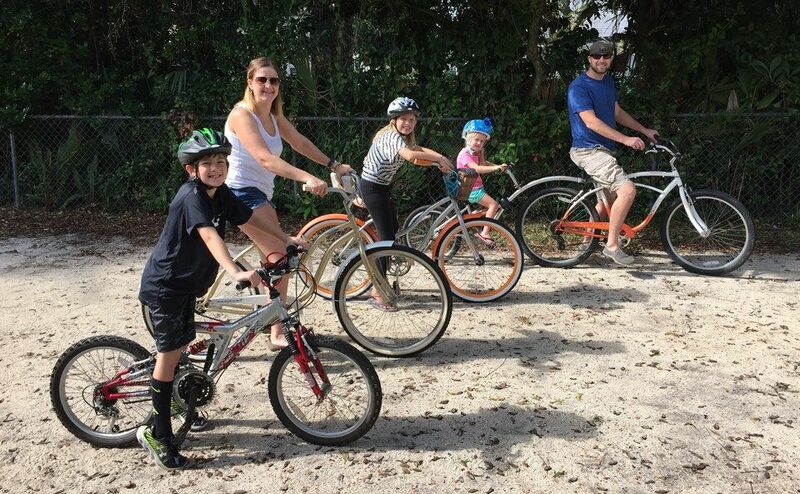 Our children enjoyed being able to hop on the bikes and cruise the streets. We rode to the Castillo de San Marcos, Flagler College, the San Sebastian Winery, the distillery, and the historic downtown. The areas were also close enough to walk to. The Oviedo house offered multiple sitting areas in and out of the house. I really enjoyed being able to sit out front in the rocking chairs sipping coffee in the morning or wine in the evening, as the kids rode bikes out front. St. Augustine is a perfect blend of history and fun at the beach. We had a great time making memories with friends at the Oviedo house. Thank you! The house was fantastic!! Very nicely decorated and great home vibe. The house was just like the pictures. We asked to have access to the kids bikes and child tandem. My grandchildren really enjoyed riding around the neighborhood. The new look to the back yard was great, not only the grass, but the water flowing from the vases was very relaxing. We had a great time and so enjoyed the accessibility of downtown from the house. We did walk there several times. 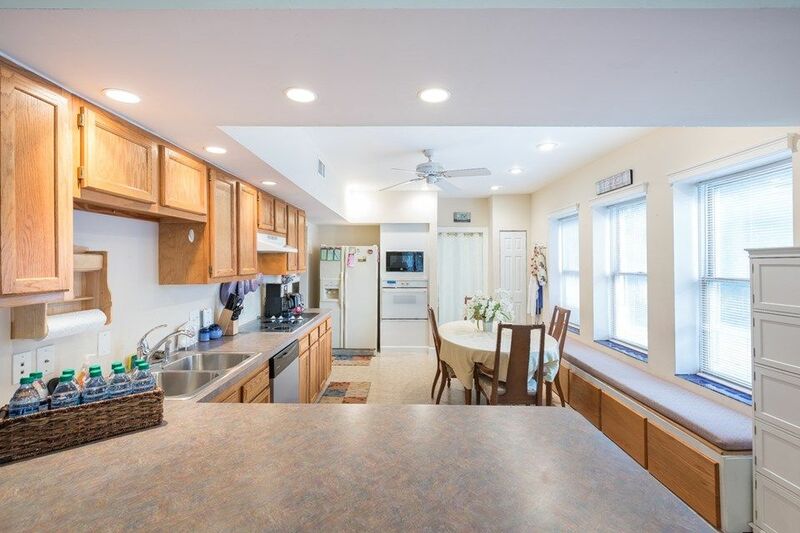 I would recommend this home to anyone with a large family, as it allows for many age groups and is fully stocked with linens, kitchen area, and access to many great things to do in the area. Thanks for a wonderful vacation. 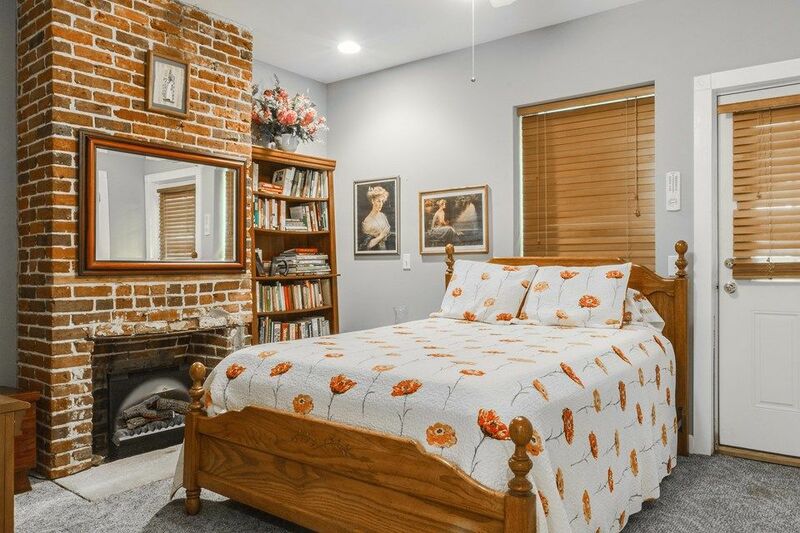 Wonderful location near downtown. 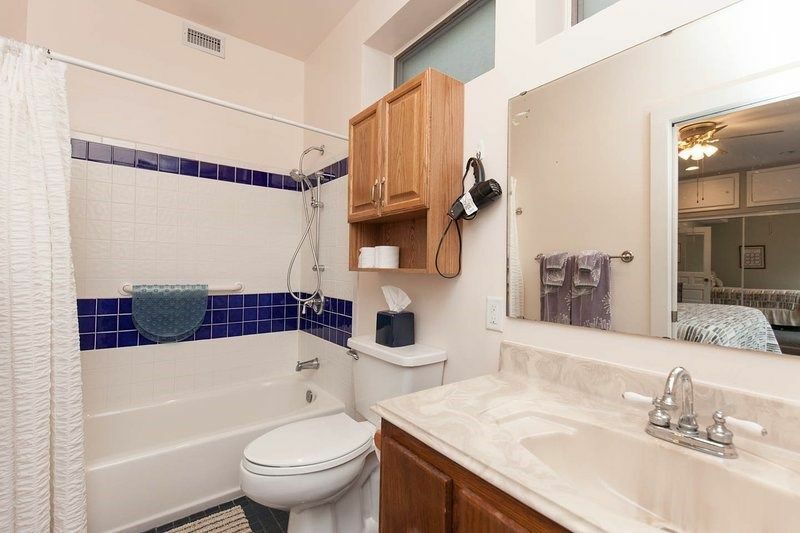 Well furnished with everything one could need. Was in town for a wedding and this house is perfect for a large family or reunion type gathering. We recently had the pleasure of staying at Oviedo house from May 10 to the 16th of this year. We were celebrating an 85th birthday and there were 12 of us in total. We not only took the main house and the two apartments but also Included the two bedroom guesthouse. The house was so stopped, everything you could think of was there and then some. The kitchen was extremely well equipped. Dealing with Kitty, the owner, was a breeze she was so delightful and accommodating . 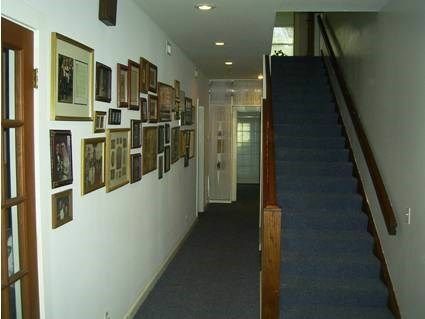 The house is centrally located walking distance of the historic district . We each had our own bedroom and bathroom and could have fit another five people or more. I highly recommend this home. Our trip to St Augustine was perfect! And the house made it all the better! We had everything we needed plus more! Then it was so close to everything going on downtown but not right smack in the middle of a high traffic area. We loved there and my husband and I were just talking about booking for our 2018 family vacation!! We came together as three generations of family to celebrate the 60th anniversary of grandparents and anniversaries of two second generation families. There were a total of 19 of us and we were all accommodated very well and spaciously. We had all amenities to meet and exceed our needs throughout the weekend. It was a concensus of opinion that we should do this again at Oviedo House in perhaps five years. What joy!! 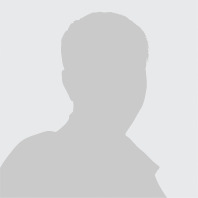 Kitty Pursley 9045992904 Show Phone No.